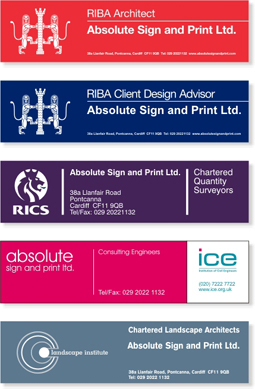 Professional site boards in rigid PVC or self adhesive vinyl. 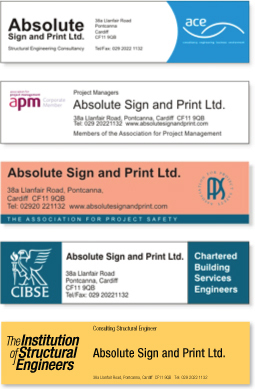 Our staff have over 20 years experience of producing site-signboards for members of professional bodies. Please click on the relevant link in the menu to the left to take you to our on-line ordering form. We produce signboards in rigid PVC or self-adhesive vinyl. They are supplied in a choice of three sizes, 610mm x 157mm, 1220mm x 305mm or 2440mm x 610mm. All of our signboards are produced to the highest specification and adhere to all guidelines as set out by the relevant professional bodies.